Elderly care, or elder care as it is often called, is a broad term that encompasses a wide range of services that cater to seniors. When a physical, cognitive, or emotional condition hinders someone’s ability to live without frequent assistance, elder care becomes necessary. However, this can range from assisted living to independent living. 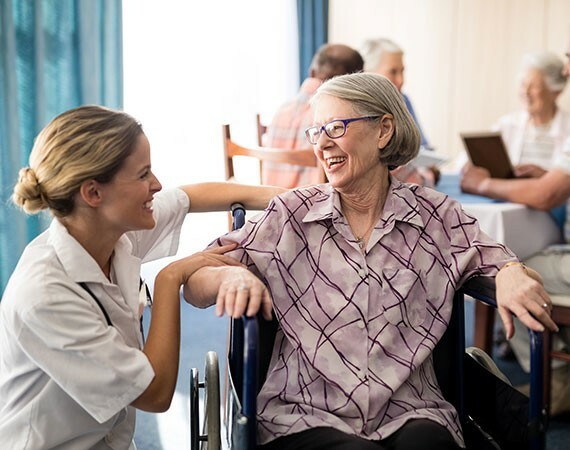 At Above And Beyond, we offer free placement services to help you find the long-term care in the Phoenix area that you need for your loved one. It might sound too good to be true, but we can assure you that it is! Susanne cares about the quality of life for every senior and wants to ensure that they only get the best service and living arrangements. Here’s a breakdown of different services encompassed by the term elder care. Assisted Living. When your beloved senior is still fairly independent, but needs help with some daily tasks such as doing laundry, bathing, or managing medications, assisted living is a wonderful option. Assisted living facilities vary greatly in what they offer. Independent Living. This option is for seniors who can still live independently but like to have easier access to assistance if needed. Your loved one will have a safe environment that may or may not provide meals, laundry, housekeeping, etc., and it will afford them the independence they can still manage. Hospice Care. Seniors who need hospice care generally have a life expectancy of six months or less. It can take place at home, at a hospice center, in a hospital, or in a skilled nursing facility. A team of health care professionals and volunteers will provide medical, psychological, and spiritual support. Memory Care. Memory or dementia care is often provided within a long-term care facility, but can also be its own memory care facility. For seniors who have dementia, Alzheimer’s disease, or another form of memory loss, this service will provide 24-hour, specialized assistance. Above And Beyond in Arizona can help you find placement in any of the elder care long-term care facilities listed above. Best of all, we provide this service at no charge. Contact us today to schedule an in-person interview so we can get to know the needs of your senior loved one.